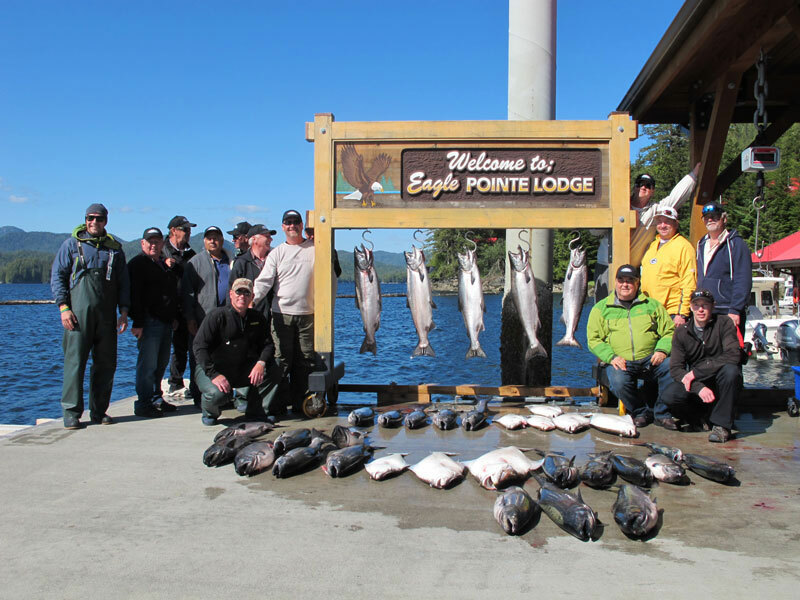 Eagle Pointe Lodge boasts some of the Pacific Northwest's best fishing. Here's what you can expect to catch during the season and the possession limits. 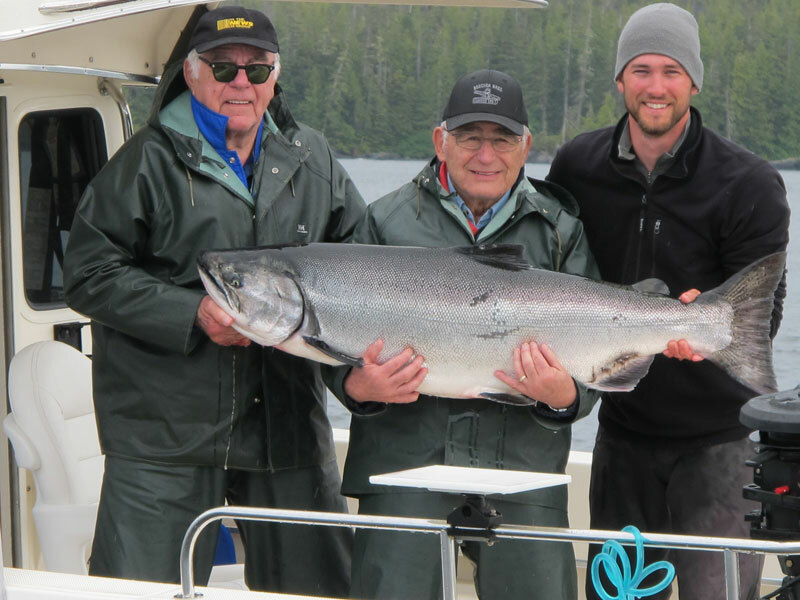 Chinook (Spring salmon) – 15–45 lb. Chicken halibut – 15–45 lb. 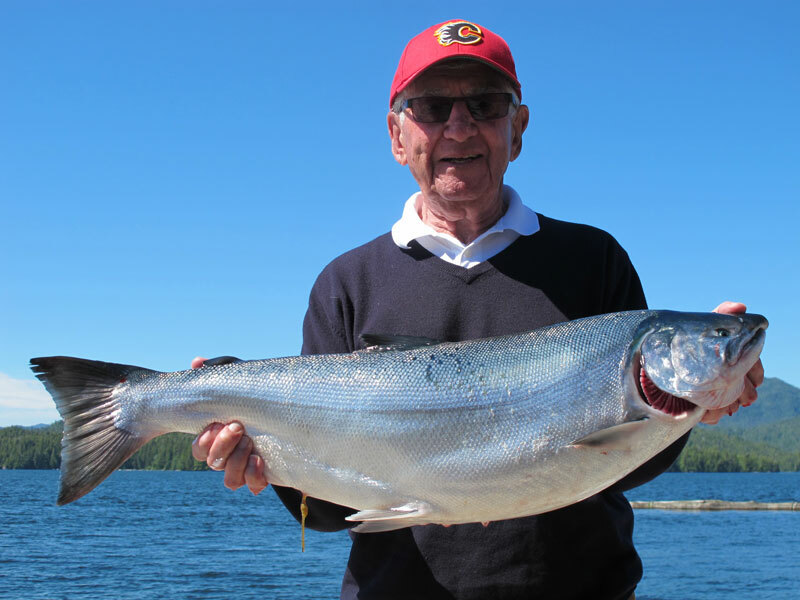 Coho – start to show up in good numbers, 8–12 lb. Coho – excellent, 10–12 lb. 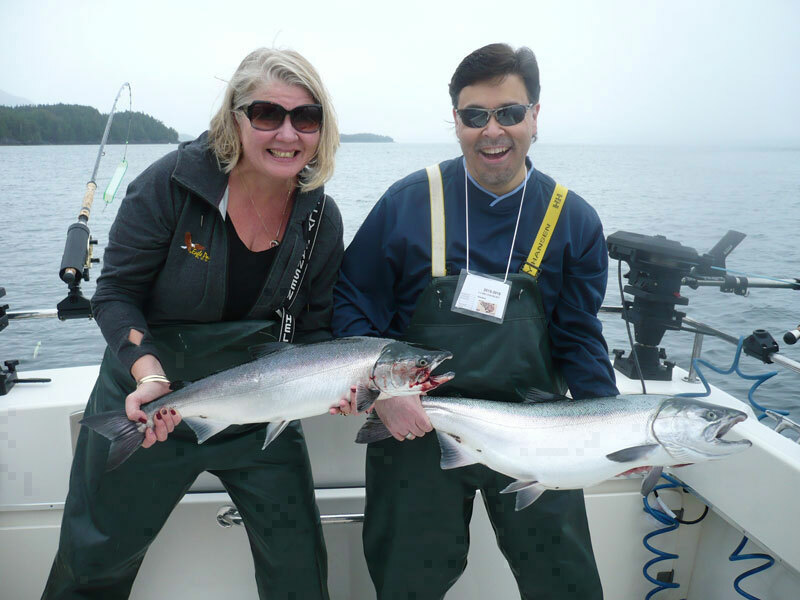 Coho – numbers peak around second week, 12–15 lb. *You may have any combo of salmon not exceeding the 8-fish limit provided you keep no more than 4 chinook in total, and no more than 2 per day, with 4 other salmon making up your limit. When there are no more chinook later in the summer, you may keep 8 coho. Please note: Limits of both bottom fish and salmon are subject to last-minute changes due to Fisheries and Oceans guidelines. 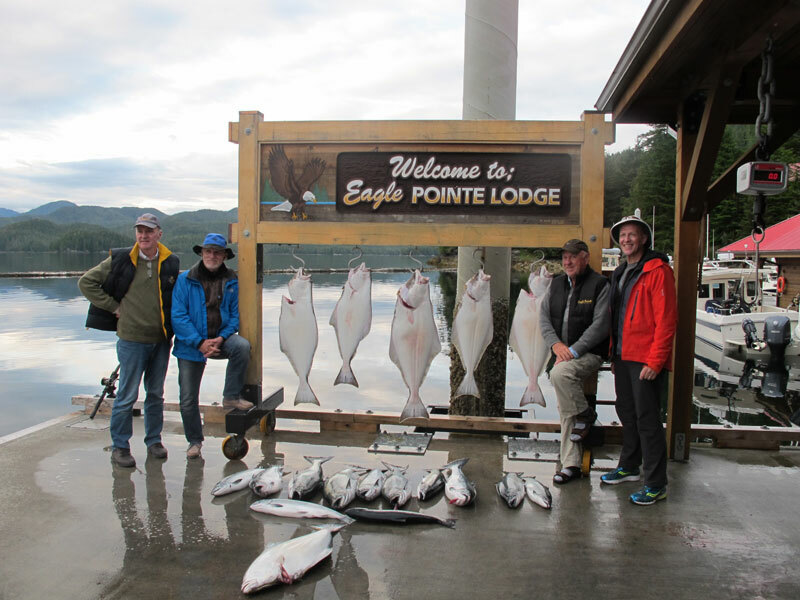 It is Eagle Pointe Lodge policy to release large halibut (which size maximum is set by Fisheries) and all ling cod over 20 pounds. The size of the fish to be released will be up to your guides’ discretion. We appreciate your understanding and ask for your cooperation with this policy to help ensure the survival of the species.